Sprinkler systems used to be preserved for the privileged elite, a sign of wealth and status that reached far above the other folks in the area. In films we are used to seeing sprinkler systems in hotels where blue collar workers perform gardening duties in the background. However, now they are as American as the white picket fence in some areas. Indeed, the sprinkler system has become more and more popular since the growth of suburbia and the middle class. We know what you are thinking, "a sprinkler system will be great for my business!" Yes, it is true that our industry has been benefited by this change, however, we are in favor of bringing the best products to as many people as we can and we see it in more general terms as a benefit for society at large. Therefore, please do not think that our sprinkler system repair and installation service is not for you! It is for you and we are confident that the price will be far less than you thought it might be as well. Still not convinced? Well, keep on reading to find out more! Sprinklers are not the most sturdy of items. In fact, whether your sprinklers are made from plastic or metal they are liable to come into contact with something harder or stronger than them at some point in time. It might be a foot or it might be a car wheel but whatever the case when this happens to you and the water is spurting out at an odd angle, lopsided, choking and wounded you need to know who to call to get it back to its full working condition. It is not good just propping it upright because often the damage has been done. On the other hand if the system is broken because of a technical fault somewhere along its body you need to call in a professional who has a long history of diagnosing sprinkler system problems to assess it and make a decision. After all, sprinkler systems are a bit like boats in some ways; they can be sailing happily along whilst the bottom and the sides gather algae, barnacles and various other damages quietly beneath the surface. It is not always easy to spot where the problem is so it is imperative you call in a well-trained eye to make the assessment. Here is a statement you’ll never hear, "the men and women at Charlotte Irrigation Systems left us down the creek without a paddle." You'll also never hear, "they left us with a fork and a bowl full of soup." 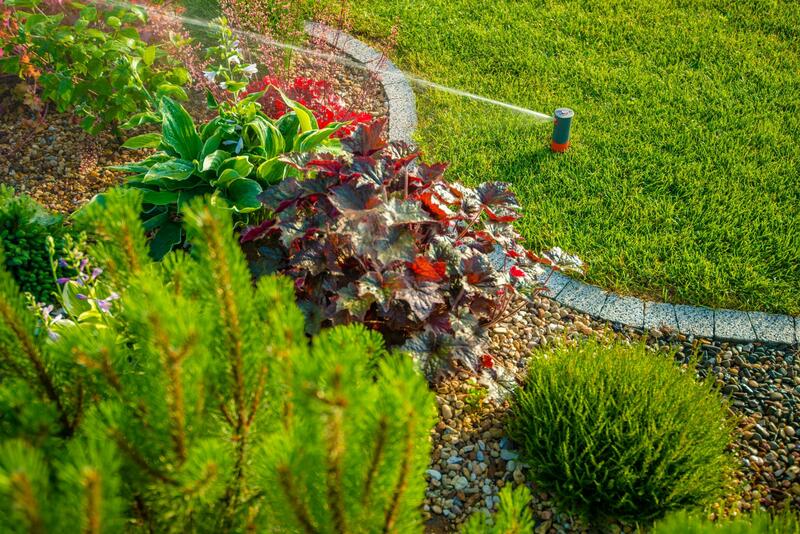 The bottom line is it is not in our DNA to leave you without a fully working irrigation system once you are one of our customers. We will be there with you to hold your hand every step of the way. We won’t leave until it is fully installed and we won’t be leaving you high and dry then either. Instead, you’ll have an earful of advice on how to maintain your system and who to call if it ever experiences problems (us).